Greenville, NC Bojangles'® Tands, INC. Store #12 - Bojangles'® / Tands, Inc. The Bojangles’® in Greenville, NC on Hwy 11 is more than just a fast food restaurant — it’s the gathering place for Greenville locals and passersby to stop, enjoy some good food and slow life down a little. For breakfast, lunch or dinner, Bojangles’® southern food makes a great choice with options that include fried chicken, fresh biscuits made daily from scratch, and down-home sides like slaw, Dirty Rice® and mashed potatoes. 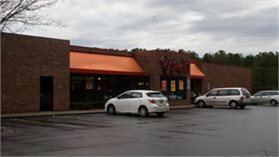 This Bojangles’® location in Greenville neighbors the Westhaven residential subdivision and various retail centers. It’s the perfect spot to gather and enjoy meals together before heading home or doing some shopping in Greenville, NC. If you’re hungry for great food, fast service and affordable prices, you need to head to Bojangles’®!